I had come across this before. But this is a very clear description of the Time Sort (Noguchi) Filing System. Here is a scholarly paper that investigates the "foundations" of the effective use of concept maps. I am a bit dubious about "foundation-talk" applying to "effective use" or "tools," but I guess "foundation" means something different in educational psychology from what it means in philosophy. In any case, the paper contains some interesting observations. 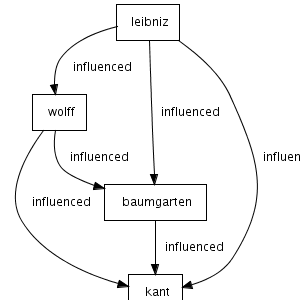 the claim that "concept maps modeled with a circular structure ... lead to significantly more instances of meaningful or dynamic propositions when compared with concept maps modeled with a tree-like structure"
It's not that I agree with all they say. It seems to me a bit too naive to say that "Objects or things are key building blocks of the universe, and they are also key building block of knowledge. We use words, usually nouns, to label objects. Events are the other key building blocks of the universe, and also for knowledge." Events are not blocks, and the universe is no lego model. Still, the distinction between static and dynamic maps seems to be me worthy of further thought. And it does seem to be true that when "we focus on events, we are usually asking how something happens, and concept maps emphasizing events, using verbs, ... tend to be richer in explanations, whereas concept maps focused on objects tend to be more descriptive." It may also be true that concept maps showing explanations require deeper or more dynamic thinking. 1. The link come to you thanks to WikIT. There are some ways to modify the resulting diagram, you can drag it into your desktop applications or reference it and include it in your Website, but I think the diagrams cannot be too elaborate, i.e. not much more elaborate of what you see here. Interesting idea, though. I'd wish there was a desktop application like this. 1. See also the earlier post on yUml. It is true, a Hypertext or a Wiki allows for “unlimited internal branching,” since it does not commit you to a pre-defined structure. It also allows for meaningful clusters among the pieces that make up the information, while at the same time always keeping open the possibility of structuring and re-structuring the information (like an outliner). But there is not contradiction between this and outlining. Perhaps it might be said that a a hypertextual (or wiki-like) database is like a two- or many-dimensional outliner. Hypertext and outlining are thus complementary and not opposed (as common wisdom has it). To enlarge, click on picture. It just presents the first two levels of branching in a database of almost 8000 entries. Clicking on any of the boxes will take you to the topic it refers to, which could have graphs that show even more detail. Properly constructed, a wiki does not lead to fragmented, but to deeply connected information, like a multi-dimensional outliner. 1. See also Outlines and Meshes. An interesting post on Daily Writing about the "writing process." It identifies "five stages of writing" as "a framework for writing well and easily." They say: "You might want to bookmark this post so that you can come back to it each time you start on a new article, blog post, essay or story: use it as a checklist to help you." Not a bad idea. Montesquieu wrote in the Preface of The Spirit of the Laws: "I have begun and abandoned this work [Spirit of the Laws] any number of times. On a thousand different occasions, I have taken pages and thrown them to the winds. Every day I have felt my paternal hands fail. I followed my objective, but without forming any fixed plan. I could identify neither rules nor exceptions to them; I found the truth only to lose it. But once I discovered my principles, everything I had been seeking came to me, and in the course of twenty yeas, I have seen my work begin, grow, advance, and come to its end." Almost anyone who has ever worked on a large project can probably identify with these sentiments. But Carl L. Becker is one person who could not. Thus he accused Montesquieu of fudging "the facts." He sneeringly observed that "the 'facts' meant nothing to him until he discovered the principles which they were to illustrate." (See The Heavenly City of the Eighteenth-Century Philosophers. New Haven: Yale University Press, 1932), p. 104.) He then goes on to accuse the enlightenment philosophers on the basis of this passage that they started from general principles and not from facts, even though Montesquieu's passage shows just the opposite, namely that he wrestled with the facts until he could formulate general principles. But there is a difference between (i) searching for the principles that might explain the facts, and (ii) seeking principles that might be illustrated by the facts. The first approach is an attempt to establish a necessary relation between facts and principles, the other approach is interested in the accidental relation of embellishment. It is important to understand this difference in one's research, even if one might also be skeptical about the possibility of the kind of explanation Montesquieu aimed at. Becker's main thesis, namely the claim that "the philosophes demolished the Heavenly City of St. Augustine only to rebuild them with more up-to-date materials" (31) is well-illustrated, but it does not serve to explain a whole lot about the enlightenment. Reading Montesquieu is more profitable. Gazette is a very rudimentary personal wiki. They say: "Gazette is a small, fast, personal wiki for keeping notes, & whatnot. Gazette 'folds' a document into pages, and allows you to cross-reference those pages in any order. This folding/linking metaphor makes it easy to have several topics within a single file, an ideal method for organizing information, creating glossaries, distributed documentation, courseware, cheatsheets, ebooks and more..."
But, if you are willing to spend $22.95, you would be far better off purchasing ConnectedText for just a few dollars more ($29.95). It is ultimately a much better value than any of the others mentioned in this post. 1. Sunday, November 01, 2009: The Website seems to be down. But it can still be downloaded from here: Brothersoft. Update: The link has gone dead and the application is no longer available. I noticed it on February 1, 2015, but it was probably dead for a while. An artificial distinction? See also Fluidinfo, which is supposed to be a "cloud database," but not a wiki. Paul Graham argues in an insightful post on the essential difference between a maker's schedule and a manager's schedule that the two don't mix. "The manager's schedule is for bosses. It's embodied in the traditional appointment book, with each day cut into one hour intervals. You can block off several hours for a single task if you need to, but by default you change what you're doing every hour." On the other hand, "people who make things, like programmers and writers ... generally prefer to use time in units of half a day at least. You can't write or program well in units of an hour. That's barely enough time to get started." Seems true to me, even though I also think it is better to try and get started on things when one has an hour or two than not even to try. There is always note-taking or research to do, in any case. The holidays are almost over. We spent the first half of August in Germany. Hence the lack of posting. One of the first things I read back in the U.S.A. was Alex Beam, A Great Idea at the Time. The Rise, Fall, and Curious Afterlife of the Great Books (New York: Public Affairs, 2008). The book is being "remaindered," and that's the time when I purchase a book of its type. It's interesting and gives some insight into the peculiarly American phenomenon of the Great Books movement is characterized by a combination of high ideals, low intellectual standards, and rampant hucksterism. I found historically interesting the disdain Mortimer Adler had of Leo Strauss and "Straussians" in general, though the book does not really investigate the significant continuities and discontinuities of these movements to any extent. I also found the chapter on St. John's (Annapolis) interesting. One of the slogans characteristic of this program is "a full notebook betokens an empty mind" (173). This pretty much sums up everything that is wrong with St. John's and the Great Books. While it is true that a full notebook may indeed be the sign of someone who does not see the forest for the trees, an empty notebook is a much better indicator of a mindless person, that is, a person, who does not find it necessary to take note of anything in order to reflect on it later, to develop her thoughts and critically develop them. Sustained intellectual development without proper note-taking is absolutely impossible for most of us. The slogan goes well with the disdain for reading texts in their original language, the aversion to footnotes that contextualize and explain the historical background of a book, be it great or not, and the fetishization of the supposedly "Socratic" discussion of texts in what would be a vacuum, if it were not pervaded by the inevitable prejeduces of twentieth-century interior decorators of the vaguely intellectual kind. This is my version of a plain-text desktop wiki in AHK. I used the "Scripting Pad" at the AHK Forum as a basis for this application. 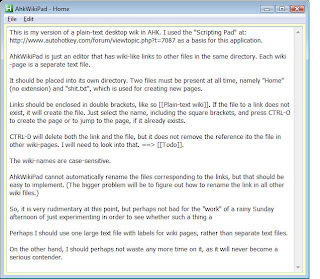 AhkWikiPad is just a simple editor that allows wiki-like links to other files (typically in the same directory as the application). Each wiki-page is a separate text file. It should be placed into its own directory. Two files must be present at all times, namely "Home" (no extension) and "garbage.txt", which is used for creating new pages. Links should be enclosed in double brackets, like so [[Plain-text wiki]]. If the file to which a link refers does not exist, it will be created. Just select the name, including the square brackets, and press CTRL-O to create the page or to jump to the page, if it already exists. The wiki-names are case-sensitive. So, AhkWikiPad is very rudimentary at this point, but perhaps not bad for the "work" of a rainy Sunday afternoon of just experimenting in order to see whether such a thing a thing is possible. MsgBox Could not open "%SelectedFileName%". MsgBox The attempt to overwrite "%CurrentFileName%" failed. Perhaps I should use one large text file with labels for wiki pages, rather than separate text files. On the other hand, I should perhaps not waste any more time on it, as it will never become a serious contender. 1. Notetab cannot do these things either. 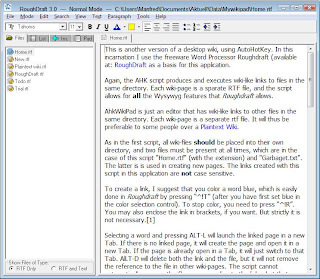 See Notetab as a Plain-Text Wiki. This article on the Brain and tools as temporary body parts reports on some interesting research about body schemata. "Data presented in this review support the idea that tools, by enabling us to extend our reaching space, can become incorporated into a plastic neural representation of our body." Indeed, "humans might have such neural machinery present in the brain from birth or early in life, whereas lower primates seem to need a period of raining to induce behavioural learning ..."
This certainly has implications on the way we use typewriters and software. The German poet Heinrich von Kleist published in 1805 an essay, entitled "On the Gradual Creation of Thoughts While Speaking." In it, he argued that speaking engenders thinking, and that this is the way it should be, not the other way around. We often have no clear idea what we want to say when we begin to explain something to someone else. Kleist argues that not only should I not try first to get clear on what I want to say by just thinking about it, but that the effort to put it into speech will actually be more helpful, "because usually I already have some sort of obscure notion, which is remotely related to what I am looking for. If I just begin boldly enough, my mind will complete what it has begun. The muddled idea is going to pressed and shaped into a new form of clarity, while I progress in speaking. To my astonishment, the thought will be fully completed as soon as I have finished the sentence. I may mix in inarticulate sounds, draw out the connective words, use an apposition where none is needed, and use other tricks to extend my speech in order to find time for the fabrication of my ideas in the workshop of reason," but I should not be worried, as the result is a new thought. "This kind of speaking truly is thinking out loud ... [and] language is in such circumstances no hindrance (Fessel) ... but is like a second wheel, running parallel to [thinking] ..." Speaking and thinking go hand in hand. Some people would argue that this supposed contrast between language and thought is a misguided theory anyway, and that language is one of the necessary conditions of the possibility of thinking in the first place. What I find more interesting is the claim he makes on the basis of these observations, namely that it is "not we who know; it is first and foremost a certain condition, in which we happen to be, that 'knows.'" As Lichtenberg put it, we should say: "there is thought," and not "I think," just as we are wont to say "there is lightning" or "it is raining." It appears to me that writing exhibits the same feature in an even more pronounced way. We find out what we think by writing it down, and we know little that has not been put into that condition. The condition, in which we happen to be when we know, is not independent of its "external" expression whether it be in speech or writing. A good software application should facilitate this process of thinking. 1. "Über die allmähliche Verfertigung der Gedanken beim Reden." 2. "Denn nicht wir wissen, es ist allererst ein gewisser Zustand unsrer, welcher weiß." 3. Georg Christoph Lichtenberg: "Hierher gehört was ich an einem andern Ort gesagt habe, daß man nicht sagen sollte: ich denke, sondern es denkt so wie man sagt es blitzt" (L II, 806). Brainstorm has been around for a long time. It is a "deceptively simple idea-organizing tool for Windows, with a long history on DOS." Though it is often referred to as an outliner, strictly speaking it does not belong into that category. "BrainStorm was invented before the first commercial outliners came on the scene." However, "if you are already an outliner user, you will find both familiarity and difference in BrainStorm." This short review of the program in the New York Times from many years ago still correctly characterizes the strengths of Brainstorm as a program and its problems in the market place. Perhaps its elegance and its "geekiness" are essentially related. But, however that may be, I still like it. This is the most comprehensive site on on mind maps I know. It is accompanied by an interesting blog. What makes both sites interesting is that they are not restricted to one operating system. I find so-called "mind-maps" and "concept-maps" useful in thinking about certain issues. Visualizing relationships between people, concepts, theories, or problems allows me to "see" things I otherwise might not have thought of. 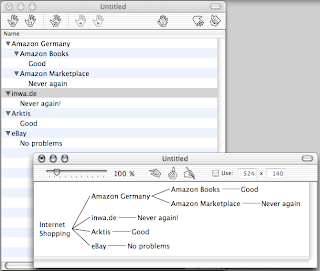 I have been using software to make mind maps for many years. Come to think of it, I never really used mind maps on paper. After trying out some other contenders, I began using MindManager when it was still shareware and called Mindman (in 1996, I think, but it may have been 1997 or 1995). I am very skeptical about the pseudo-psychological concepts—like "right-brained thinking"—which seem to inform the thinking of many developers and advocates of mind mapping. There are also many who believe that mind maps are good tools for large-scale note-taking. I am not one of them. In fact, I think that the kind of visualization they allow of is best for small-scale projects. But, in spite of all my skepticism about some of the hype that goes with mind maps, I find these visualized outlines serve a definite purpose. When I am done with a mind map, I usually save it as a jpg file and import it into ConnectedText. Tools for Visual "Knowledge Management"
I am not sure there is such a thing as "knowledge management." The concept seems incoherent to me. However, there are interesting applications that allow one to manage one's notes and ideas. In a very interesting post, Eric Blue presents what he calls: 15 Effective Tools for Visual Knowledge Management. It's worth a look. The link comes to you thanks to Franz Grieser and the Outliner Forum. I should perhaps also point out that my favorite note manager is regrettably not included. Too bad. It's always amazing to me to see what all can be patented. Here is the Portable Index Card Holder for Notebooks. One of the reasons why this invention never really took off is probably that the term "notebook" no longer means what it used to mean. I saw diskette holders (somewhat) like this, however, and may even have owned one myself. 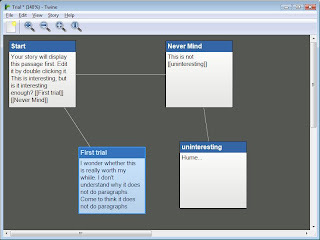 Freemind Scholar is an attempt to combine mind mapping with reference and Pdf management, which is a great idea. 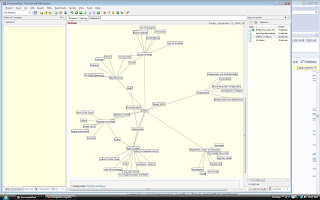 More specifically, it is an attempt to combine the freeware Freemind mind mapping software with the JabRef and Foxit Reader. JabRef uses the BibTeX format (but other formats are planned). It's written in Java; it's at the alpha stage now, and it's something whose development is to be watched.